After-hospital care in a nursing home is becoming an integral component of our patients' lives. Our doctors provide ongoing medical care for our patients, whether they require short-term rehabilitation after a recent hospital stay or require long-term care. We provide care at several community based nursing homes in West LA, Santa Monica and North West Valley area. Please contact our UCLA affiliated facilities directly for further information. We encourage you to visit them in person too. Our goal is to provide continuity of care whether as an outpatient, inpatient in the hospital or a nursing home patient. Patients and their families may need to consider nursing home care following acute hospitalization. The nursing home will provide rehabilitation services as well as primary medical care so that the patient can return to normal function. Long term nursing care provides medical support 24 hours a day, relieving patients of the difficulty of caring for themselves. Nursing homes can also alleviate stress on family members who may need to provide home care. Nursing homes can also provide palliative (pain management) and hospice (end-of-life) care. What to look for in choosing a nursing home? Patients, their family members or medical advocates should visit the nursing home and request a tour of the facilities. Specific information that will determine quality of care include ratio of nurses to patients. Be sure to ask for this ratio for all shifts including overnights. 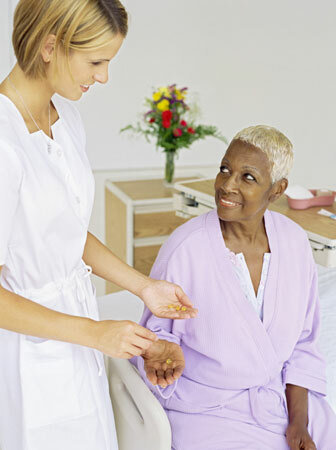 Patients should ask to meet the Director of Nursing, as well as the Nursing Home Administrator. The interaction with these individuals will help patients and their families determine the level of commitment and care they will receive during their stay. Patients and their families can view nursing home ratings at California HealthCare Foundation. UCLA Westwood and Santa Monica offer post-hospitalization, long-term care and palliative care at several nursing homes located close to the Westwood and Santa Monica offices and hospitals. UCLA geriatricians see patients at UCLA Affiliated Nursing Homes twice a week and are fully responsible for coordinating comprehensive care.